Listed below are some excellent, practical books of awakening, both psychological and spiritual. Each takes a slightly different perspective on the process. 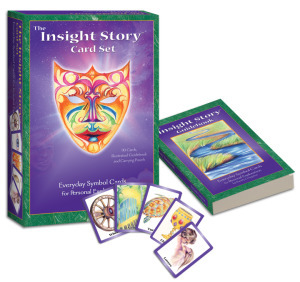 The Insight Story Cards and Book Set is an amazing deck of 90 symbolic images from our world that can be used for personal insight and self-awareness. It has the depth of a tarot deck without being a tarot. There are 11 different categories of symbolic images: People, Animals, Elements, Power, Love, Journey, Skills, Creations, Nature, Food, and Symbols, plus two wild cards. Use these cards for personal guidance and greater self-understanding by choosing the card or cards you are attracted to and discovering the deeper meanings they have for you. The 268 page guidebook includes richly written and well researched descriptions of the symbolism and spiritual wisdom of each card, ending with a comment or question for you to ponder. The book begins by introducing the reader to a fantastic possibility – that humanity may be on the verge of a major shift in consciousness rooted in a new understanding of how our DNA operates – namely that it is programmed directly by the way we think and feel. This is a highly ambitious and sophisticated system for shaping one’s destiny. Based around 64 archetypes, it resembles the I Ching in its vast scope and profound importance, and in the resonant character of its symbolism. 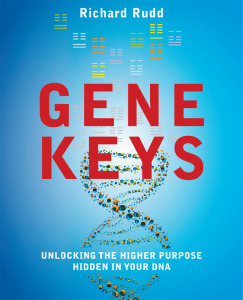 Presented as a spiritual path in their own right, Gene Keys invites you on a journey of contemplation that leads to powerful inner revelation and deep self-acceptance. Kundalini Vidya is a description of Traditional Kundalini Science, the scripture-based oral teachings of a 500 year old lineage of Kundalini specialists. Kundalini Vidya defines Kundalini Shakti, identifies the sources of the system, and clarifies the terms relevant to Traditional Kundalini Science. 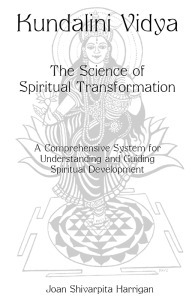 It explains the function of the major aspects of subtle body physiology, including the chakras (subtle body energy centers), nadis (subtle body energy channels), and vayus/pranas (vital energy forces motivating life functions/life breath). Then it describes the causes and dynamics of a Kundalini rising and specifies the predisposing factors for a difficult rising. Finally, basic guidelines for supporting a healthy Kundalini rising by establishing a solid spiritual life are offered. 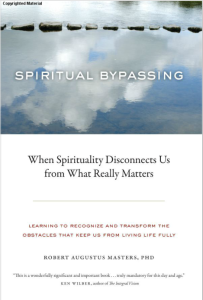 Spiritual Bypassing casts a lucidly critical eye on our deeply entrenched misuse of spirituality, furthering the body of psychological insight into how we use (and abuse) our spiritual practice in often unconscious ways. Masters provides an in-depth look at the unresolved or ignored psychological issues that are often masked as spirituality, including self-judgment, “confrontation-phobic” compassion, excessive niceness, the demonizing of anger, and emotional dissociation. A must-read for anyone seeking increased self-awareness and a more integrated, compassionate relationship with themselves and others. In this culmination of his life’s work, Peter Levine draws on his broad experience to explain the nature and transformation of trauma in the body, brain and psyche. 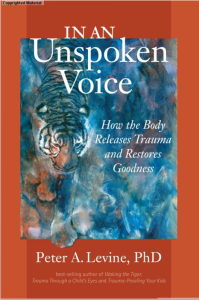 In an Unspoken Voice is based on the idea that trauma is neither a disease nor a disorder but rather an injury caused by fright, helplessness and loss that can be healed by engaging our innate capacity to self-regulate high states of arousal and intense emotions. This book elegantly blends the latest findings in biology, neuroscience and body-oriented psychotherapy to show that when we bring together animal instinct and reason, we can become more whole human beings. 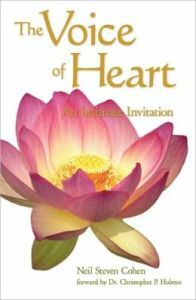 The Voice of Heart takes the reader on an undeniably compelling journey deep into the spacious, unified awareness of the Feeling Heart. The words in this book are expressed as the voice of our own heart—an unusual perspective relative to most other self-help and inspirational books. This work gives a voice to the heart itself, to remind us of its secrets, to awaken the experience of heart within ourselves, and to prompt us in our leaning and transformation. This is a guide for exploring the Heart behind the heart, where individual life merges with the greater life of humankind. A centuries-old psychological system with roots in sacred tradition, the Enneagram can be an invaluable guide in your journey toward self-understanding and self-development. 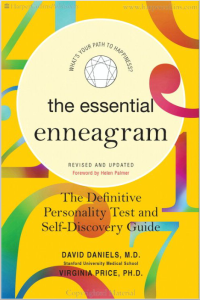 In this book, Stanford University Medical School clinical professor of psychiatry David Daniels and counseling psychologist Virginia Price offer the only scientifically developed Enneagram test based upon extensive, time-tested research. The most fundamental guide to the Enneagram ever offered, this book features effective self-tests for the simple, accurate, and confident determination of your own personality type. Brimming with empowering information on each of the nine personality types-Perfectionist, Giver, Performer, Romantic, Observer, Loyal Skeptic, Epicure, Protector, and Mediator-this one-of-a-kind book equips you with all the tools you need to dramatically enhance your quality of life. 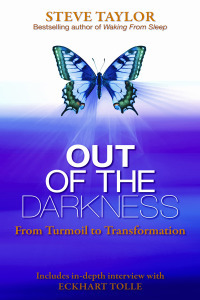 In Out of the Darkness, bestselling author Steve Taylor tells the stories of more than 30 people who have undergone both temporary and permanent spiritual awakenings after intense trauma and turmoil in their lives. Steve has also interviewed several spiritual teachers whose awakening occurred after intense psychological turmoil, including Eckhart Tolle. In addition to telling these people’s stories, Out of the Darkness explains why turmoil has this transformational effect and illustrates the almost infinite capacity of human beings to overcome suffering. 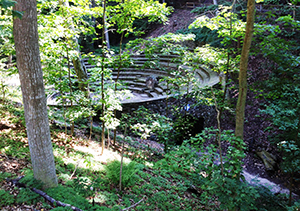 It shows how close – and how natural – spiritual awakening is to all of us. In The Map of Heaven, bestselling author Eben Alexander and his co-author, Ptolemy Tompkins, share his readers’ visions of the afterlife and show how surprisingly often they sync with those of the world’s spiritual leaders, as well as its philosophers and scientists. It turns out there is much agreement, across time and terrain, about the journey of the soul and its survival beyond death. In this book, Dr. Alexander makes the case for heaven as a genuine place, show how we have forgotten, but are now at last remembering, who we really are and what our destiny truly is.